Find shoes to finish off your dressiest or most casual of looks. From trend-led pieces to more relaxed finds, we have got you covered. Treat yourself to a night in with our cosy nightwear. Spice up your winter pyjamas with a festive set or choose a patterned nightdress to get your home style on point. Elongate your frame this Autumn/Winter with our long leg boots. Perfect for teaming with your favourite dress, they feature stretch and added elastic for a better fit around the calf, creating a flattering shape. 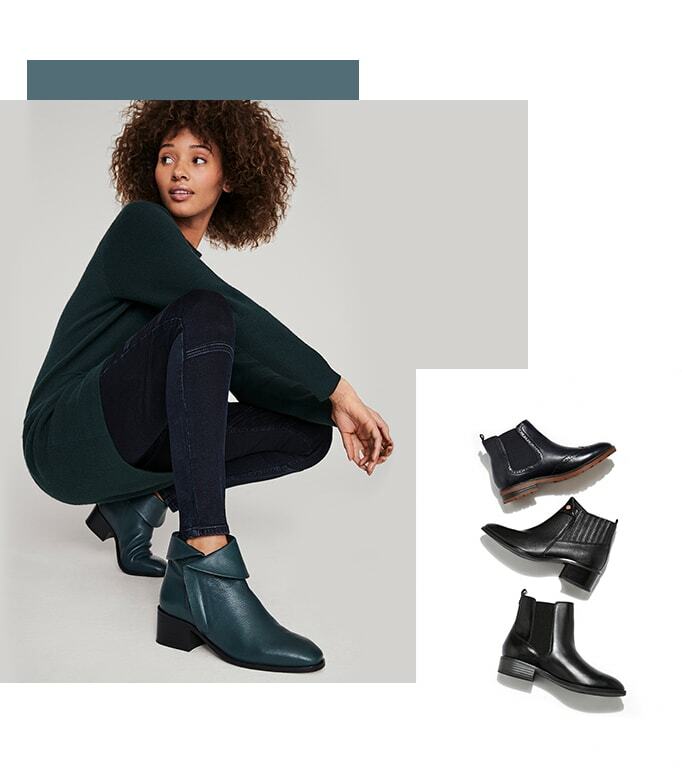 Be inspired by the 90’s punk and grunge with our chunky sole footwear – with a grip sole and chunky heels to get you through the British winter, opt for our practical yet stylish boots. Team them with a jumper dress or give your office look an edge for the perfect winter style.